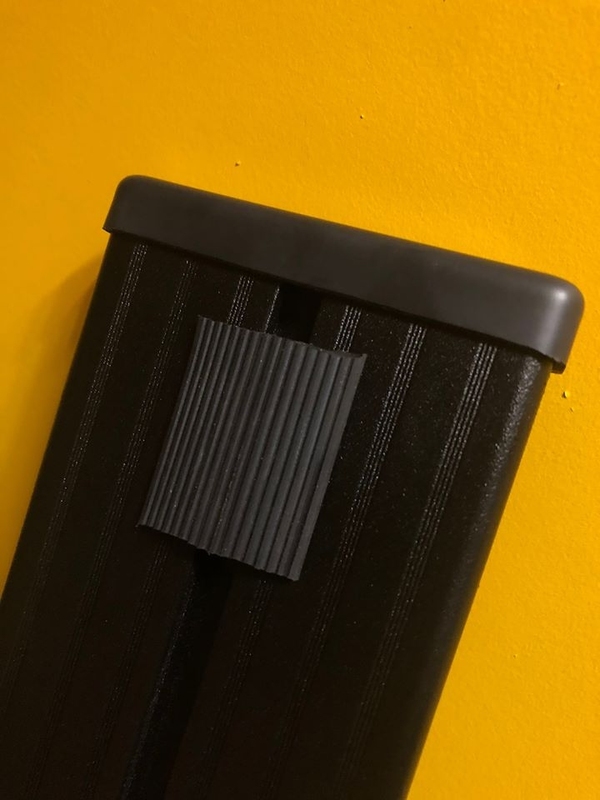 Flatdog T Slot Tread , is the perfect addition to any FD Rax or Fd Rax Roof Bar, fitting perfectly into the T slot extrusion. The T Slot Tread is designed to provide more grip , be water and oil resistant and also allow transportation of good and materials without the need to be in contact with the RAX itself - providing longevity and also a cushioning between the RAX and item , reducing rattling. The T slot Tread is 32mm wide , with grooves in the top, giving maximum grip when walking across the bars , especially in wet weather. Sold in 1 Metre lengths to be able to use as much or as little as you like. Can be cut with a Stanley blade. On some vehicles using this rubber can reduce wind noise on roof bars. Simply push in the rubber tread to fit.